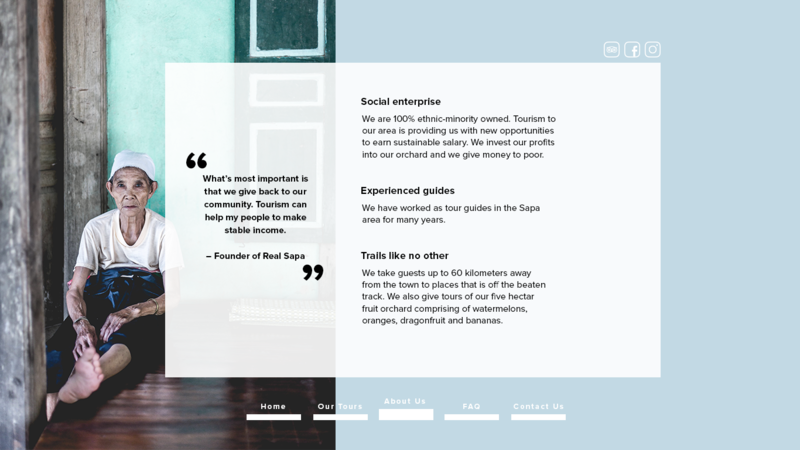 Refreshing the site to bring in more travellers. 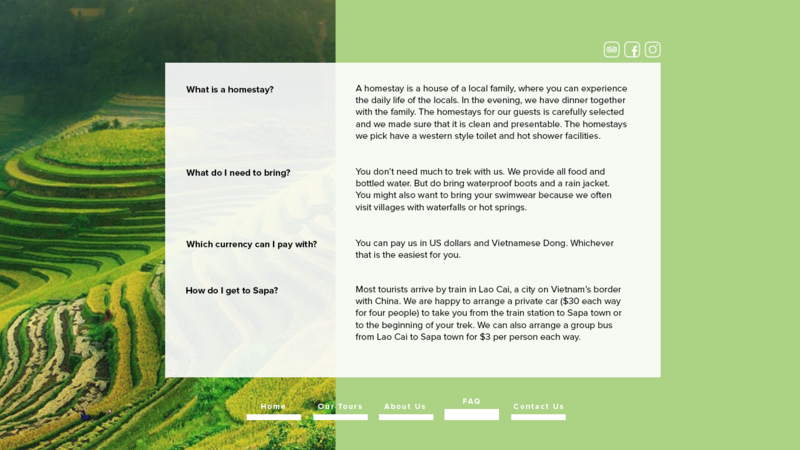 After experiencing an amazing hike with the guides from Real Sapa, I decided to revamp their website as a personal project. 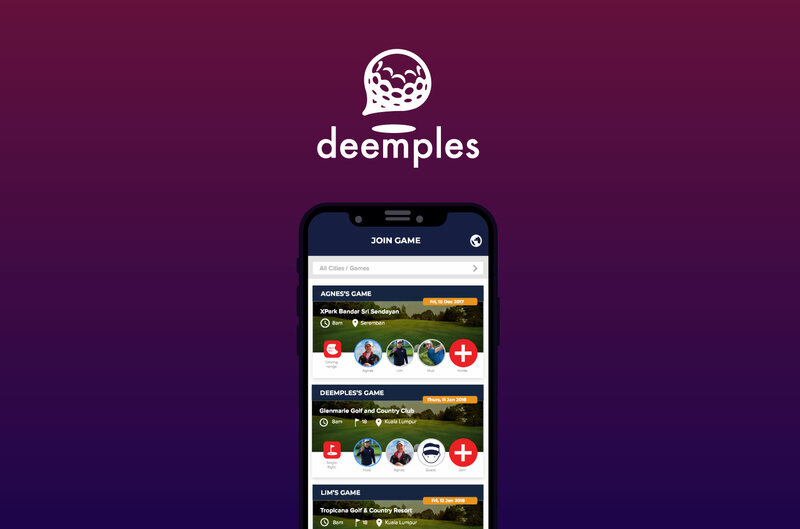 After a quick run through of the current website, I noticed a few problems. 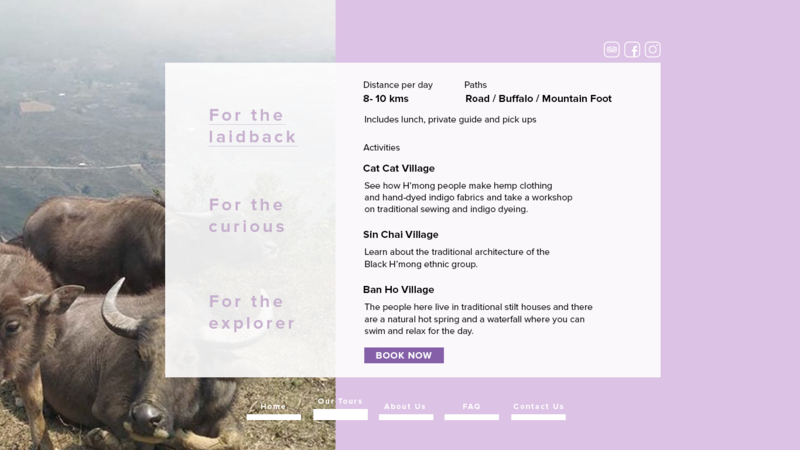 There were duplicated information, the design was out of date, and it doesn’t show the true beauty of Sapa that will entice its target market, the backpackers and tourists who rely a lot on the internet to find tours. While keeping the core design of the logo, I modernized the typeface with a design of the rice fields that is famous in Sapa with the logo. Because Sapa is so beautiful, I decided to use photographs to bring out its beauty. 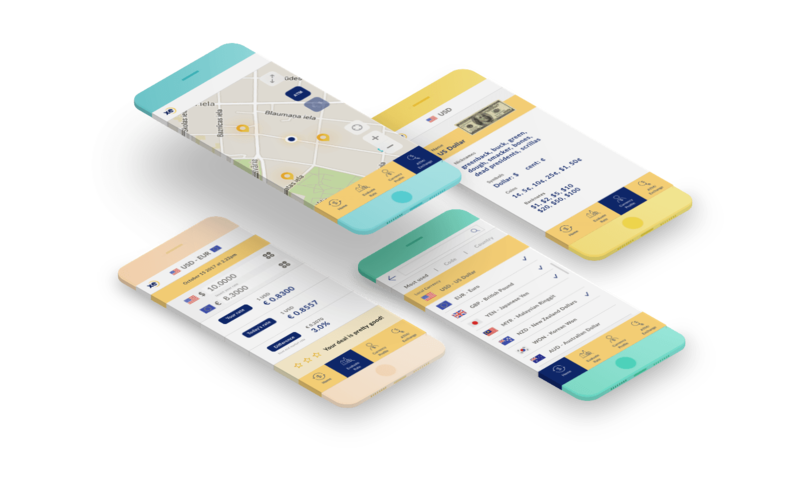 Instead of leading the users to multiple pages, the information is condensed to 5 main page that is simple to navigate, read and understand Real Sapa. User experience: From content that leads to call to action. 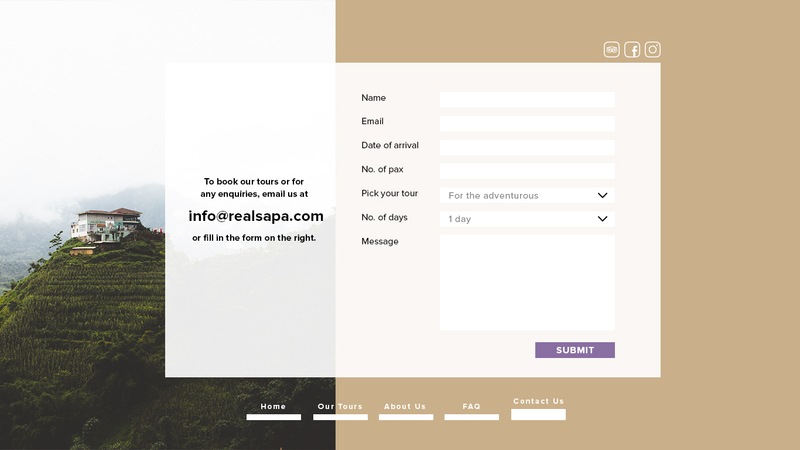 The content is simplified and rewritten to only show information that is relevant to the potential customers, with all that leads to for the user to book tours from Real Sapa.